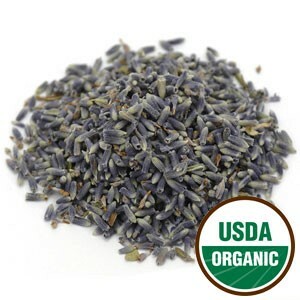 Lavender tea is made from one of the world's most famous scented flowers. 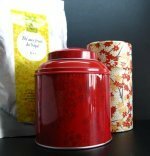 It is a calming tea with a long history of being used to soothe pain and relax the nerves. This aromatic infusion provides many health benefits and at the same time it is a pleasure to drink such a wonderful tea. Come and have a cup of this relaxing tea! Lavender, in Latin lavandula angustifolia or lavandula officinalis, is a woody flowery shrub native to the Mediterranean region of Southern Europe and Northern Africa. It may also be found growing in all corners of the world, from Australia, India, Japan and the United States. The name lavandula comes from the verb "lavare" meaning "to wash" or "to bathe", which is ideal considering how wonderful it is to soak in a lavender-scented bath. An alternate possibility is that the origin of the name is the Latin word for blue, describing the unique color of the lovely lavender flowers. Just take a moment to image the lavender fields in France covered in these beautiful flowers, vast fields of color. This aromatic perennial shrub is an herb with several branches with narrow gray-green straight leaves. This herb loves sunshine, little humidity and sandy soils. While it is often grown as an ornamental plant, it spreads quickly almost being regarded as a garden weed. The famous lavender flowers grow on top of woody stems that reach from 15cm to 60cm in height well above the rest of the plant's foliage. The flowers come in whorls and are a beautiful shade of lilac-blue that is often referred to by the very name of this plant. These flowers exude a uniquely floral perfume that is easily identifiable and very much appreciated. The use of lavender flowers and oil date back many centuries both for their aroma and health benefits. 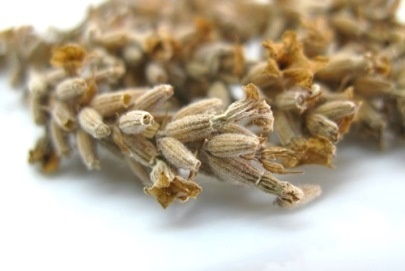 In ancient Egypt this herb was used as a perfume and incense, and to help the mummification process of the dead pharaohs. The ancient Greeks documented the medicinal properties of lavender using it to treat mental and nervous issues as well as digestive problems. Persians and Romans also valued this herb in scented baths that were believed to purify the body and mind leaving a sense of rejuvenation. 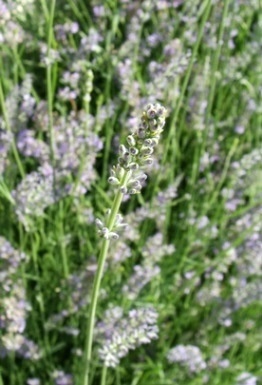 In medieval times, lavender was used as a condiment, to bring relief for migraines and in women's smelling salts. At the same time, it was also used to keep evil spirits away and clear the air of sickrooms. Today lavender still has an incredible reputation as a relaxing herb. Some people still fill little bags with lavender flowers to place under their pillow to promote sleep, or simply in a drawer to scent linen or clothes. Its essential oil is used in aromatherapy to promote rest and calm. Due to its wonderful perfume, lavender has also made its way into the world of cosmetics, scenting perfumes, shampoos and all sorts of soaps and lotions. Added to potpourri it fills a room with its aroma. At the same time, it is also used to scent or decorate dishes, in particular to milky desserts or scented sugars. 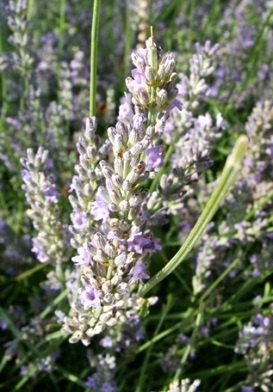 Lavender flowers may also be used to add color, aroma and flavor when blended into black or green teas. Some people have lavender in their gardens just for the beautiful addition of color they give to any scenery. You can easily grow this herb in a pot; just make sure to properly wash the flowers you pick before using or drying them. Lavender tea contains many elements that make it a source of health benefits with every cup you drink. This herb contains flavonoids, triterpenoids, tannins, coumarins, and essential oils with camphor, geraniol and linalool. Let's take a look at the most significant benefits of lavender tea. The most important benefit of lavender tea is its ability to support the nervous system. It may help to calm your nerves and relieve anxiety. If you are feeling overwhelmed by stress, then take a deep breath and have a cup of this tea. Lavender tea may be considered a nerve tonic, helping to rejuvenate your nervous system. Drinking a cup of tea may help bring relief to agitation and irritation. It is said to regulate the level of stress hormones in your body. Are you having trouble sleeping? This herbal infusion could help you get a good night's sleep. It may ease insomnia, restless sleep and other sleep disorders. You may also take a deep relaxation bath, scented with lavender, and just let your mind unclutter and your nerves unwind. Lavender may also be helpful when you are suffering from exhaustion providing cleansing energy when your nerves are frayed or providing some relief from chronic pain. Drinking this tea may help alleviate mild depressive states caused by mental exhaustion and stress. It is said to uplift the spirits when you are feeling joyless and sad. Lavender may make a great herbal tea when you are experiencing mood swings. Some studies say that lavender may help prevent convulsions, when your body shakes uncontrollably in rapid contraction and relaxation of muscles. Lavender may help prevent calcium buildup in the nervous system that leads to spasms. Lavender tea may offer pain relief, from muscle cramps, sprains and joint pain to tension headaches and migraines. Drinking this tea may help soothe stomach cramps and other spasmodic pains. Headaches and migraines may be so powerful that they may cause blurred vision and even nausea in worse cases. It is a good thing that this tea not only may help to relieve the tension to the blood vessels in your head, but also calm your stomach reducing the urge to vomit. Its analgesic properties make this a great herb to add to a bath when you are in pain or need to relax your muscles. Some people may even give their babies lavender baths to soothe colic or calm a restless baby down, however you should talk to your doctor before doing this. If you have a mild toothache, try gargling with this tea, it may help offer some relief from the pain, giving you enough time to head over to the dentist and have it checked out. Drinking a cup of lavender tea may be a great remedy when you are suffering from indigestion. It is said to calm a burning stomach helping your appetite to return. It may soothe a spasmodic digestive tract and help produce bile and speed up the digestion of nutrients. This herbal tea may also help to treat stomach and bowel bacterial infections that cause vomiting, nausea and diarrhea. It may also prove helpful when you feel bloated and painful cramps due to constipation, flatulence and colic. Some stomach problems may result from nervous disorders. So if you are in a stressful situation, it may be a good idea to drink this tea and soothe both your nerves and digestive tract, possibly helping to prevent the appearance of gastric ulcers. The calming nature of lavender tea may also be beneficial for the heart. It contains antioxidants that may help reduce blood pressure, improve circulation, and may prevent atherosclerosis by easing tension to the blood vessels. When you drink this tea you ease the tension that stress may put on your heart and lower the risk of heart disease, strokes and heart attacks. Of course, you need to speak to your doctor if you have a history of heart disease. When you have a cold or the flu you should drink a cup of lavender tea. It may help to fight the bacteria and viruses that are causing you to feel sick. Drinking this tea may also promote sweating, which could help to break a fever. Lavender tea may be used to detoxify the body. The antioxidant content in this tea helps to flush out the daily toxins you are exposed to in pollutants and chemical compounds. Use the steam of this tea to breathe and clear the nasal passages or to clear the air, purifying a sickroom. This herbal tea is also said to help soothe a sore throat, relieving coughs and helping to release congesting phlegm. It may speed up treatment of laryngitis, pneumonia or bronchitis. If you suffer from respiratory ailments such as asthma, drinking a calming tea may reduce the muscle spasms brought on by an asthmatic attack. Drinking lavender tea may help women with menstrual imbalances. When you drink this tea it improves the liver, the organ responsible for regulating hormone production, and tones your reproductive organs so that you achieve a healthy balance. This herbal tea may help normalize your period, which may be good for you when you are suffering from menstrual delays. The soothing nature of lavender tea may help relieve menstrual pains and cramps. Have a cup of lavender tea if you suffer from migraines during your menstrual cycle. It may also help if you are prone to mood swings during these times, balancing your hormonal levels. Lavender tea may be used topically to help treat a number of skin issues and to moisten dry skin. Prepare a cooled herbal infusion and then apply it to speed up cleaning and healing of cuts, blemishes, wounds, sunburn, ulcers, fungal infections or sores. Cleaning your skin with a soft cotton ball soaked with cooled lavender tea may also help to keep your skin clean and treat and prevent acne. Its antiseptic action may help treat eczema and insect bites, while repelling insects at the same time. Washing your hair with this infusion may not only help to kill off lice, but it may also be used when you are suffering from tension headaches. It may also be used to treat dandruff and itchy scalp, leaving your hair conditioned and shiny. It may also promote the growth of hair. If you have been for a long walk and your feet hurt, then prepare a soothing herbal footbath and just let your feet soak. It will not only offer pain relief, but help treat any damaged or dry skin tissues. While drinking this tea may help your body to fight stress internally, applying it to your skin may help to prevent the exterior signs of stress: wrinkles. The calming action of lavender tea will help soothe tension and prevent signs of premature aging. Take a break and relax with a scent of lavender! Lavender tea is famous for all its benefits and is generally considered safe. However there is some information that you should be aware of before drinking this tea medicinally. Some people may have an allergic reaction to this tea. This is more likely if you are allergic to pollens or mints. Symptoms of an allergic reaction may be either difficulty breathing and headaches or a rash when you apply it topically. If this happens, then stop drinking or using this tea. Follow the recommended dosage when drinking this tea for medicinal purposes. Drinking too many cups of this tea may cause constipation, headaches, vomiting, and nausea. Reduce your dosage, but if symptoms persist, talk to a doctor as soon as possible. If you are pregnant or breastfeeding then it is best to avoid drinking lavender tea. There aren't enough scientific studies to insure that this tea is safe for you or your child at this stage. It is best to follow your doctor's advice on this one. 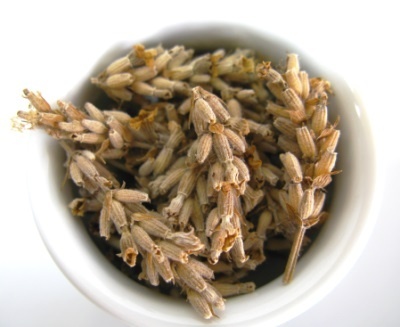 Due to its calming nature, this tea should not be taken if you are taking sedative medications. It could enhance the effects of your medication to a point of becoming dangerous, inducing too much sleepiness and interfering with the nervous system. 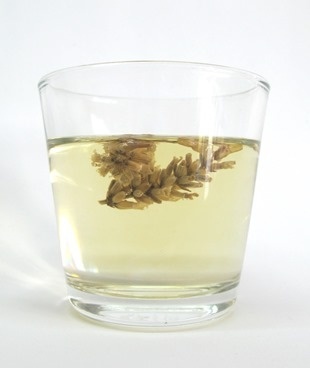 Again because of its sedating nature, you should avoid drinking lavender tea two weeks before undergoing surgery. It could alter the power of the anesthesia, overly sedating your nervous system and altering any medications you may need to take because of the surgery. If you have a history of heart conditions and need to take blood thinners, it is best to talk to your doctor before drinking this tea. It may increase the risk of bleeding due to its blood-thinning properties, and enhance the effects of your medication to dangerous levels. Lavender oil is commonly used in aromatherapy and therefore it may be tempting to make a quick cup of tea from this extract, but you should avoid doing this. Ingesting lavender oil may be toxic for you, even diluted in water. Applying lavender oil directly on your skin may cause rashes and dermatitis, and in young boys it may have a abnormal effect on hormone production. The best and safest way to consume lavender is by brewing your tea with actual lavender flowers. It's time to relax with a nice cup of tea. So let's take a minute to learn how to make lavender tea. To make this tea all you need is fresh or dried lavender flowers. If you have lavender bushes in your garden remember to wash the flowers carefully to clear away any dirt. Begin by bringing water to a boil (100ºC). Place 1 tablespoon of dried lavender (or 2 tablespoons or fresh lavender) per cup of water (250ml) in your teapot. Pour the boiling water over the flowers and let the infusion steep for about 5 minutes. Strain and serve adding honey and lemon juice to your liking. Drink a cup of tea 3 times a day. 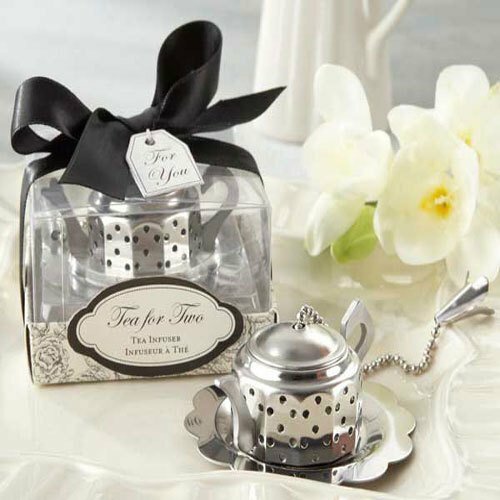 Enjoy this relaxing and floral tea while it is still hot. Delight your senses in a soothing and healing infusion. This is a great flower to add flavor to other teas, such as green and black teas. Some even add milk, cream or sweetened condensed milk to this tea to make a sweet brew. You may also make a stronger tea by adding more lavender per cup of water and then pour it over a glass full of ice. This herb makes a wonderful iced tea. There are many recipes that call for using fruit and lavender, give it a try. Make a relaxing infusion by mixing lavender and chamomile. Brew a stronger infusion and let it cool down, then it may be sprayed of the skin to clean and treat it. This cool infusion may also be used as remedy for dry scalp and dandruff. Buy Your Lavender Tea Today! Click on the image or on the link below to purchase from Starwest Botanicals your lavender. Make a floral cup of tea that will not only taste great, but also smell great. 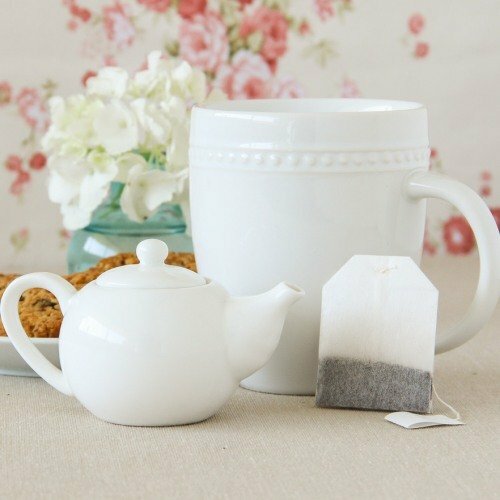 Take a break with this soothing herbal tea. 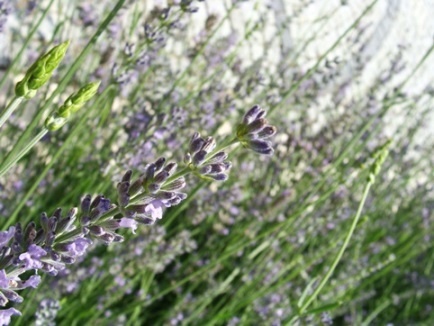 Lavender is a great herb to make a scented infusion to calm the senses and soothe the nerves. Enjoy a moment of relaxation with a floral cup of tea!